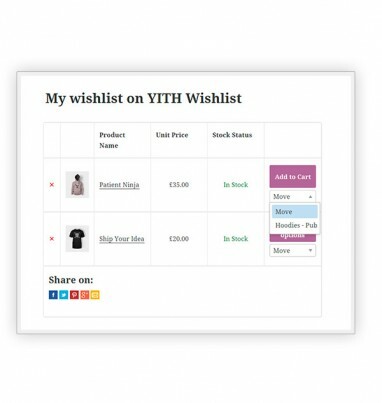 YITH WooCommerce Wishlist Premium Extension: allows your customers to setup a wishlist for items in your store thus encouraging users to come back and sharing their wishlist to friends, or through social networks which will push sales and help you with the promotion of you online business. 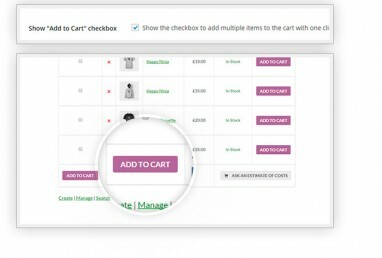 When we hear about “wishlist”, we think about a simple button that lets us save the product we are interested in in the e-commerce we are visiting, before a coming purchase. However, the wishlist is something more. 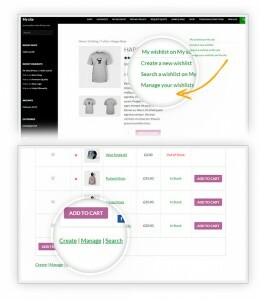 Today the wishlist is a powerful marketing tool. Giving the opportunity to track users’ interests is useful, but it’s only the tip of the iceberg. What can really make the difference in conversions and amount of sales is without a doubt the freedom to share your own wishlist, even on social networks, increasing indirect sales: can you imagine the sales volume you can generate during holidays or birthdays, when relatives and friends will be looking for the wishlist of your clients to buy a gift? Moreover, you can send the wishlist to the administrator of the site to ask for a custom estimate on the concerned products. But the most interesting feature is all about you. 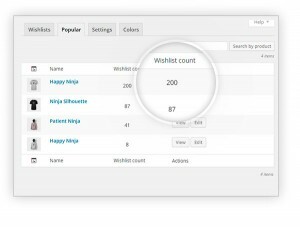 From now on, you will be free to observe your customers’ wishlists and to view the statistics about the most popular products in your shop. What does your average customer want concretely? 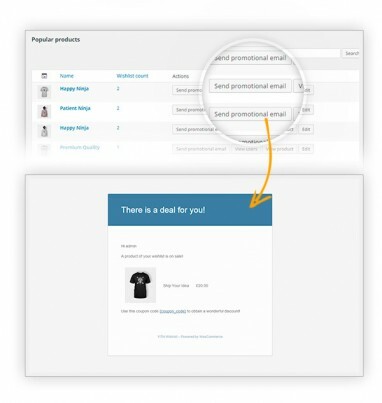 What would happen if you sent a special discount for the purchase of the most requested product? And by basing it on this, you could create ad hoc promotions and discounts to loyalize the customers and encourage them to buy the product they like.